Late bloomer. 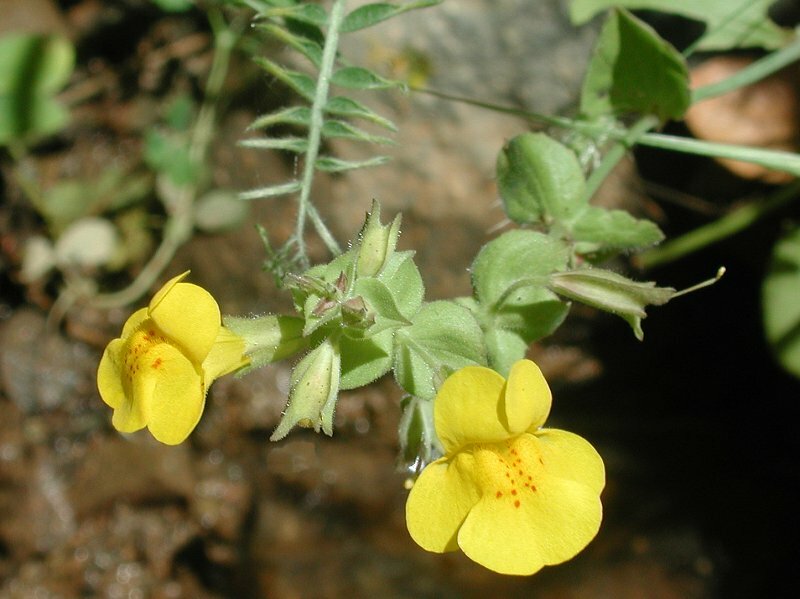 Yellow tubular flowers, some have small, red spots. Found in wet areas. The Maidu used it for food and medicine; butterflies used it for food. Notes: It is usually found near the creek just beyond the Redbud tree. Can be found in surrounding areas if watery conditions are right. The Maidu ate slightly bitter leaves and stems, and crushed leaves for a poultice and application for rope burns. Sierra Checkerspot and other butterfly caterpillars use it for food.